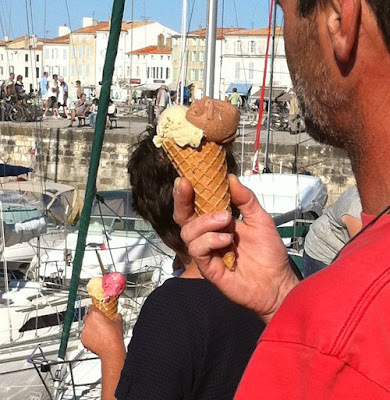 A Blog Of Ice Cream: His N Hers Ice Cream - Is Chocolate Best? Ice cream might not be thought of as a fashion accessory but you'd be surprised! Well, it's not like wearing jewelry as it doesn't get to last that long but there is definitely a difference in the way men and women make their ice cream choices. If you like chocolate ice cream, check out these 2 fabulous chocolate ice cream sundae treats which were enjoyed almost 4,000 miles apart!